Right off the bat, I like the grey exterior with the striking red door. 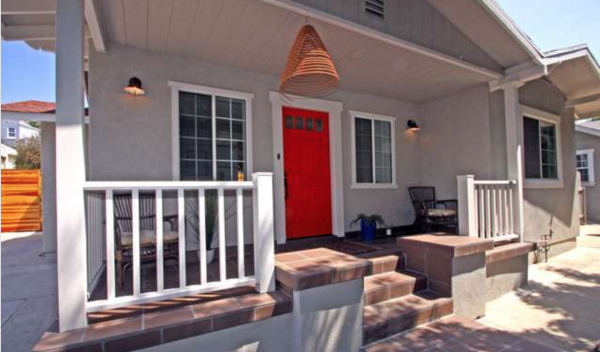 Red is the color of power and it helps makes this 1,016 square foot 2 bedroom, 1.5 bath home stand tall. And, with an optimistic asking price of $765,000, it’s going to need it. Originally built in 1923, much has been done to bring this up to date, while still keeping its charm intact. 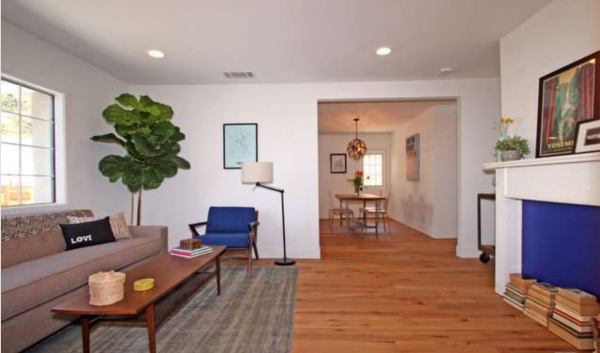 Hardwood floors can be found throughout, along with industrial light fixtures, and high-end amenities like a Nest thermostat. 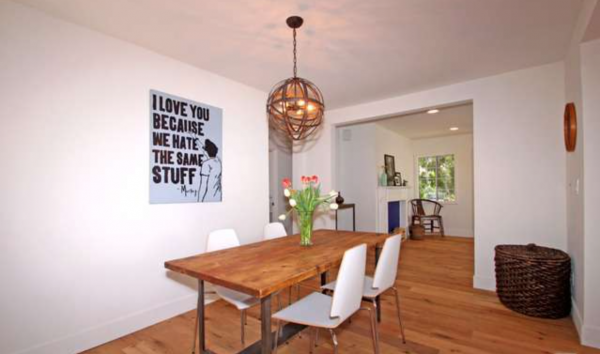 Those sentiments carry over to the spacious (relatively) kitchen and dining area. 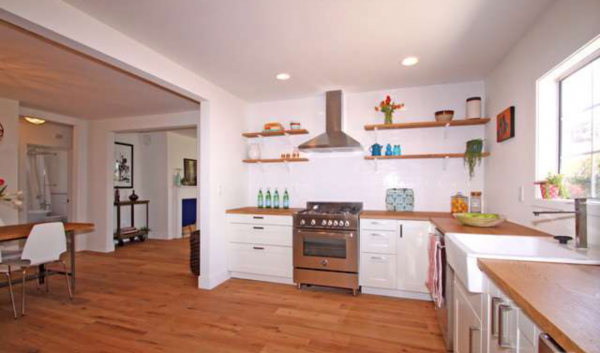 New stainless steel appliances complement the white cabinet, butcher block look counters, and farmhouse sink. 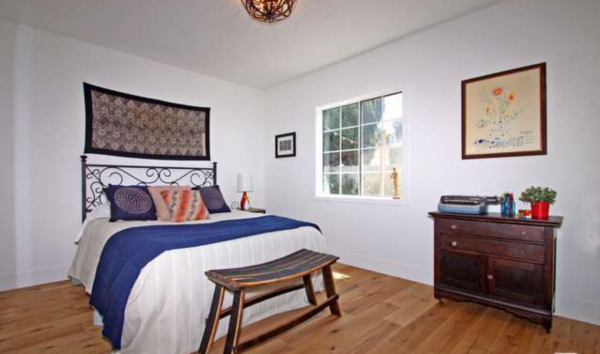 For a smaller home of this era, the bedrooms seem larger than one typically finds. Nothing really out of the ordinary here, though I am a fan of the light fixture. 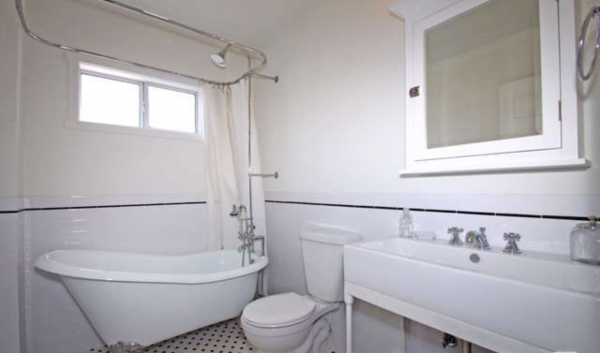 The bathroom (photo of half bath not available) with its claw-foot tub and abundant tile, work very well with the modern touch of a trough-shaped sink. Hopefully, some inebriated individual will not mistake it for a urinal. 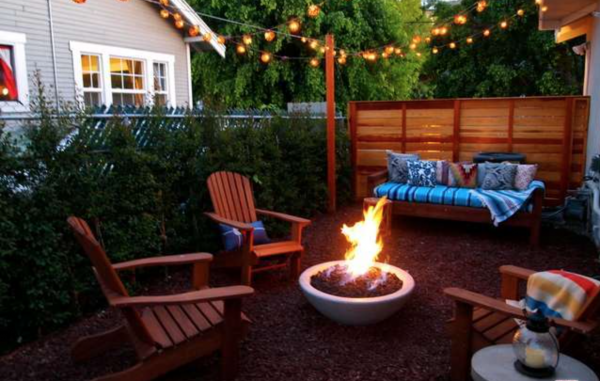 Outside you’ll find a concrete fire pit flanked by a redwood fence with some healthy shrubbery, which together make this outdoor space the right kind of intimate. For a private showing, contact Jovelle Schaffer at jovelle@jovelle.com or call (213) 718-1110. 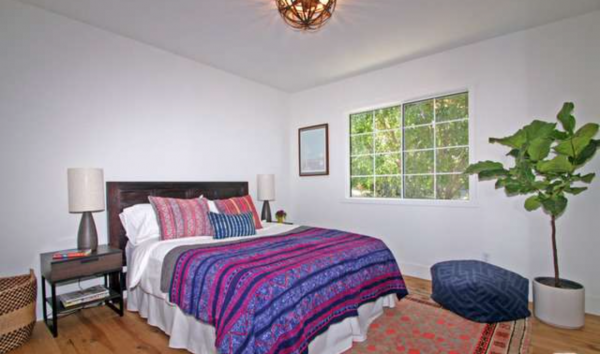 Paulina Manessi of Keller Williams Beverly Hills has the listing.